Fulham and Derby shared the spoils in a 1-1 draw at Craven Cottage that left both sides still searching for a first league victory of the year. The Rams gained their last Sky Bet Championship win against Fulham on Boxing Day but could not repeat the trick. An own goal from Marcus Olsson nudged Fulham in front, but Craig Bryson equalised for Derby a minute before half-time. The west London hosts were able to field striker Ross McCormack, who missed the recent home defeat to Hull with illness and who was subject to transfer deadline day speculation. Richard Keogh went close for Derby after seven minutes, when he flicked a Johnny Russell free-kick onto the top of the crossbar and away to safety. Captain Chris Baird then almost put the visitors ahead against his former club after 12 minutes with a volley from outside the box that cleared the bar. Fulham took the lead in the 17th minute, with more than a hint of good fortune. A low cross from the left by Luke Garbutt first deflected off defender Baird then into the path of the unfortunate Olsson who was unable to get out of the way. The game quietened down after the goal, with both sides forced to adapt to the strong wind around Craven Cottage. However, proceedings livened up again when Bryson sidefooted an excellent first-time volley past Andrew Lonergan with half-time approaching. 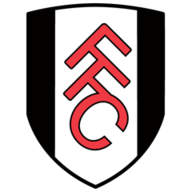 Fulham manager Slavisa Jokanovic made a change for the second half, withdrawing Brighton loanee Rohan Ince and replacing him with Alexander Kacaniklic. The first chance after the break fell to Derby's Chris Martin, who put his 51st-minute free-kick well over the bar. Fulham nearly took the lead after 66 minutes when Moussa Dembele should have done better with a close-range header, following a Jamie O'Hara corner. 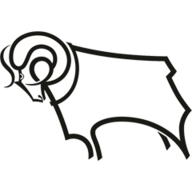 Derby withdrew goalscorer Bryson for Bradley Johnson, although they struggled to find much joy against the resolute Fulham back-line. Russell did manage to breach the defence in the 84th minute, after he was found by a long diagonal pass from Jeff Hendrix, but he was foiled by the onrushing Lonergan who was able to clear to safety. The Fulham goalkeeper was forced into action again with one minute of regulation remaining, when he got his fingertips to a Cyrus Christie shot - the defender making an excellent solo run from just inside the opposition half. McCormack saw his fierce strike hit the side-netting in injury time, while Tom Cairney put his curled effort from outside the box just wide of the post.